Full Description: One of a series of Images copied from the Chris Flint “Scates, Chidley and other early Makers” website (visit http://www.scatesconcertinas.com/ ), of the early premises of Rock and Sidney Chidley, and various papers and publications by Rock Chidley. The prints were contributed by Andy, Rock Chidley's Great Great Grandson. 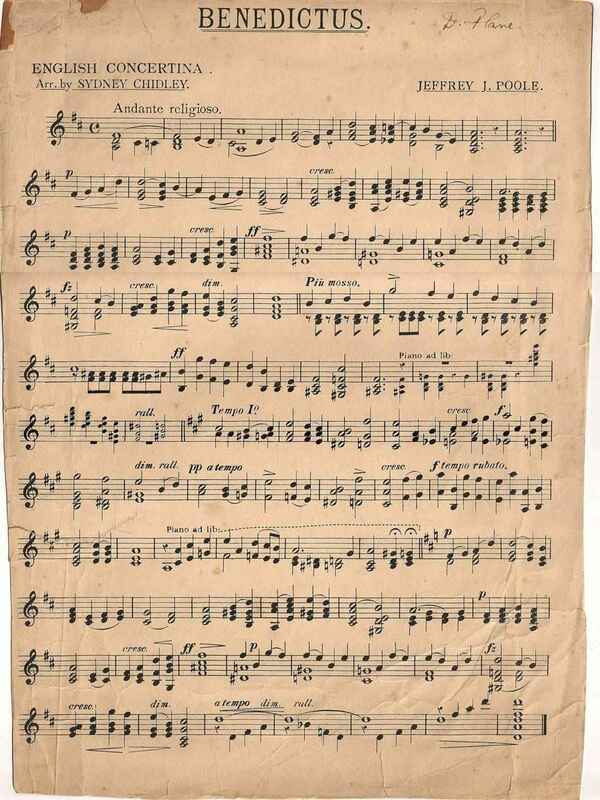 This print is a scan of the sheet music for Sydney Chidley's Arrangement of Benedictus.